The experts said to include a picture of me. Sigh. But since you took the time to look, here ya go. 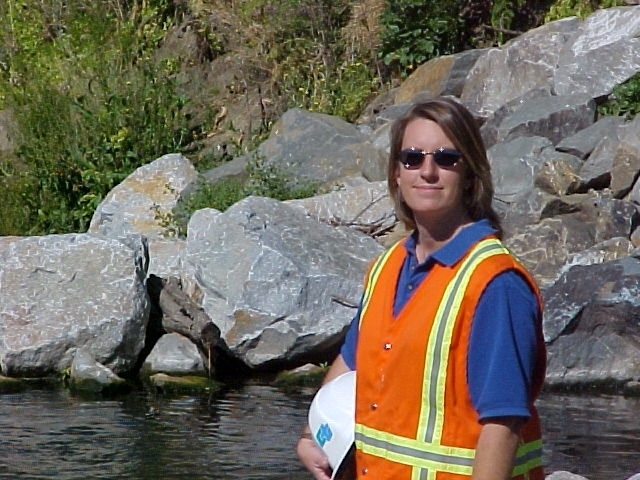 The photo below is me, while I was a Resident Engineer at Caltrans, at my favorite project. It's not my favorite because of the two awards I won during the course of the project (but that's nice too) but because of the great team I was privileged to work with (Bob Hurd, Paul Haliburton, Petric Stimson, Mike Lew, R. Burke Construction, the Caltrans survey crew, Chuck Cesena and my husband David who didn't get paid for moving all of the diversion pipe sandbags with me). 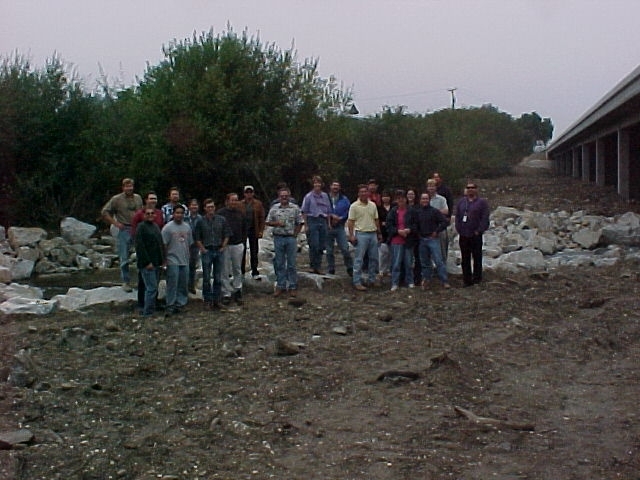 The project involved widening the southbound highway 101 bridge over San Luis Obispo Creek and improving fish passage in the creek.